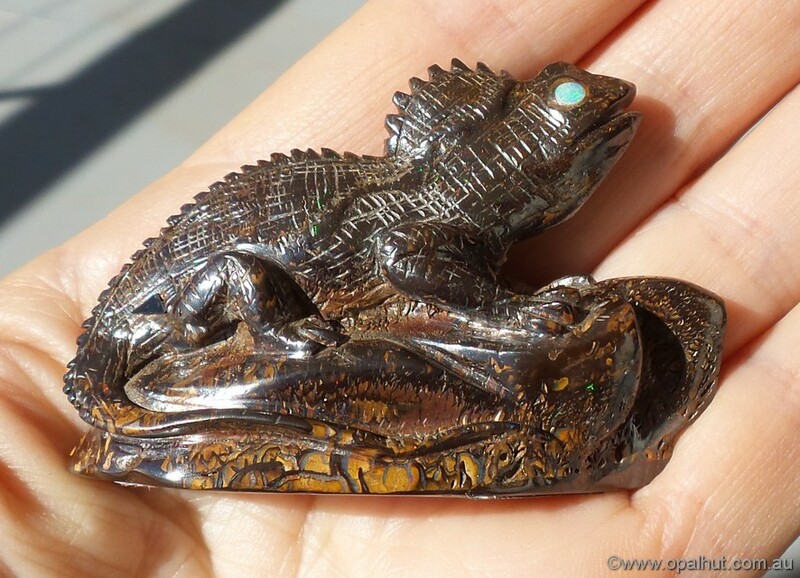 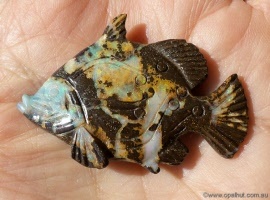 A beautifully hand carved chameleon with opal inlaid eyes. 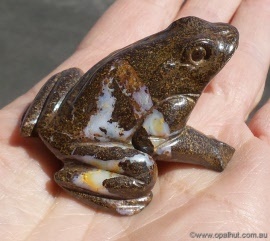 Frog carved from Boulder with patches of blue potch at back of frog. 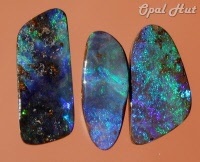 Weighs 40 grams, and measures approx 50mm x 49mm x 35mm high. Frog carved from Boulder with patches of blue potch at mid section of frog. Weighs 37 grams, and measures approx 51mm x 39mm x 35mm high.